This old man is getting weaker with each passing day due to his disease. Donate for his surgery now! 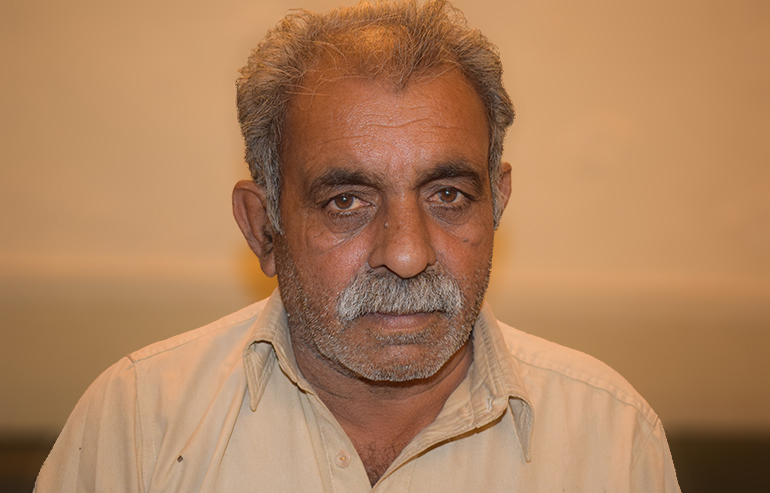 Talib Hussain is a 60 years old man who lives in a rural town in Buraywala District with his wife and 3 children. His elder son is the only source of income of this family. He works as a carpenter and earns around 20,000 rupees a month. In such meager income, this family hardly manages to pay for their household expenses and bear the cost of Talib’s treatment. Talib also used to work as a carpenter but due to his disease, he had to stop working. Around 2 years ago, Talib was diagnosed with Para Umbilical Hernia. He visited many hospitals for treatment but didn’t get relief from anywhere. As he lives in remote area, its hard for him to come to city for treatment every time. He recently went to a local hospital where doctor recommended him that his hernia has now worsened and he has to undergo surgery to treat it. Talib doesn’t even have money to pay for his medicines. Surgical expenses are beyond his reach. He is suffering from painful symptoms these days including abdominal pain, weakness, constipation and cough. He is bedridden most of the time due to ill health. Finally, somebody told him about Transparent Hands and he immediately came here without wasting any time. Talib is now scheduled for his Hernioplasty in a few days at Akram Medical Complex. We request you to please donate as much as you can for his surgery. Even a single penny can create a huge difference in his life!